2Pac was an American rapper and actor. 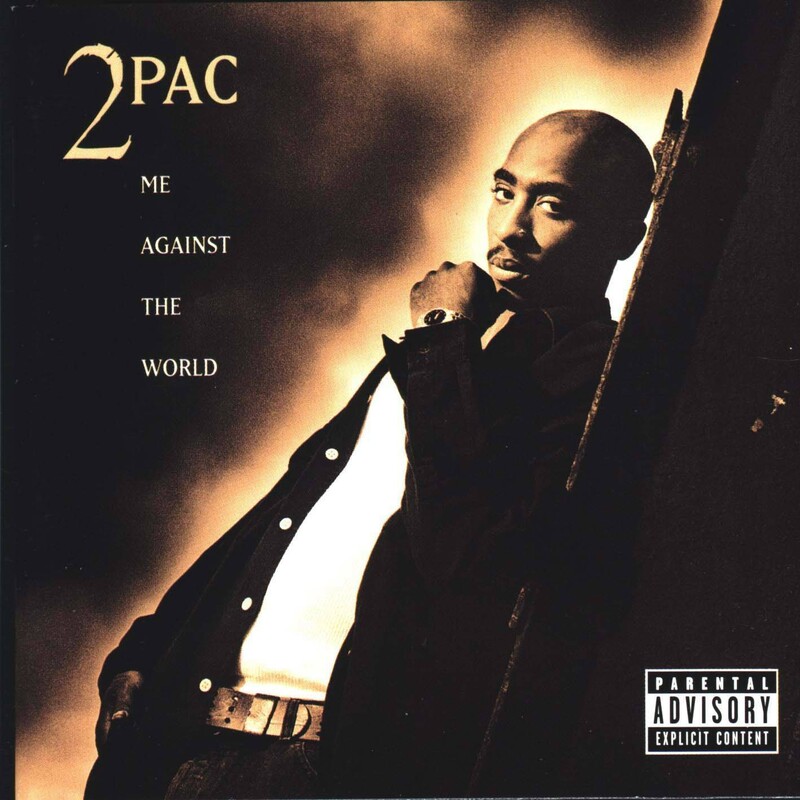 Me Against the World is the third studio album by American hip hop artist 2Pac. It was released on March 14, 1995 through the Interscope Records label. The text on the album cover features a wedged serif font which is very similar to Matrix II. The typeface is a complete reworking of the original Matrix type family designed by Zuzana Licko in 1986. In addition to Me Against the World, Matrix II typeface is also used in the following logos, movie posters or album covers etc., including: Just After Sunset, Everton Logo, Golden State Warriors Logo, Highway (Intocable), Bravely Second, Yu-Gi-Oh Trading Card Game.